This short book is an homage to her family's beloved black dog Beau, but also celebrates loved dogs. 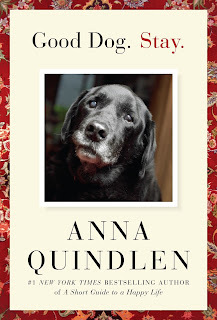 She includes examples from his puppyhood, his adult life, and the declining senses of his old age. She talks about the lessons he taught her and her family along the way, right until the end. It is illustrated with a range of black and white photos of loved dogs, including Beau and his pal Bea. While I don't have dogs myself, I have friends and family members who do, and I know the relationship with a dog is a special thing. This book has humour, insight, and love. Lots of love.